Hair steaming is great for infusing moisture to your hair, keeping it soft and helping other treatments work better. In order to get the best out of hair steaming, you also need to coat your strands with appropriate deep conditioning products and suitable natural oils. The natural oils can be mixed in with your favourite deep conditioners or used standalone. 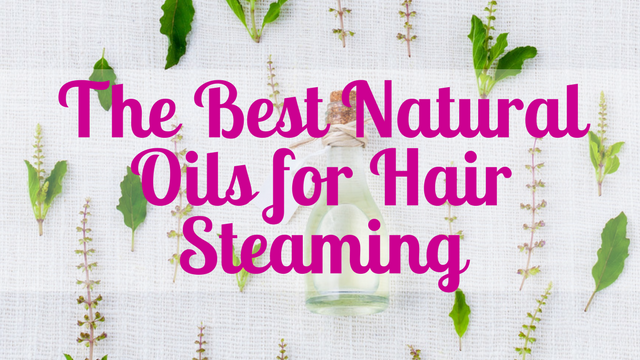 This article will share the best natural oils for hair steaming, why they’re suitable and how to use them effectively. There are many natural oils for many purposes. For each of them to work effectively, they should be used for the specific related hair issue. 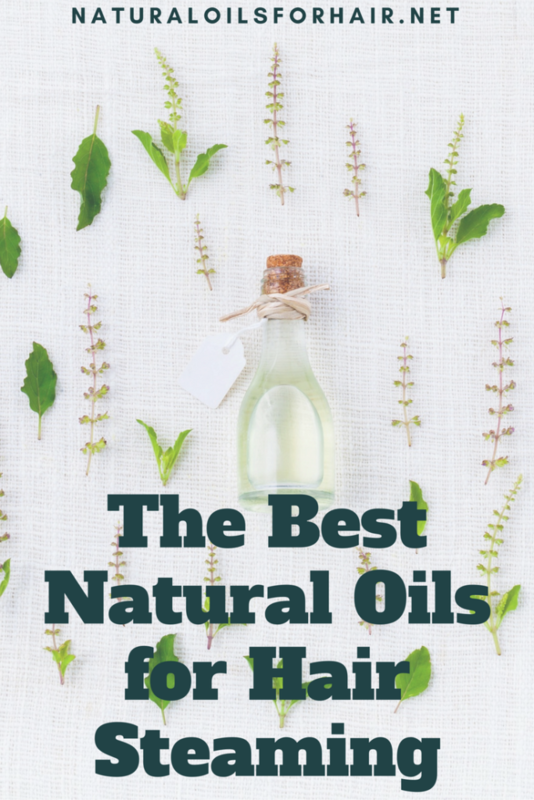 When it comes to steaming hair with natural oils, you should focus on the natural oil(s) that is best for your hair issue. It’s also important to utilize heat when steaming with natural oils to get the best of both worlds. If you’re steaming at home, the best steamer is a tabletop like Secura 2 in 1 Steamer. If you’re interested in more professional grade hair steamers, have a look at Professional Hair Steamers: Which is the Best? If you have dull, lifeless hair, olive oil is the most suitable oil for steaming hair. You can also add in an egg and/or mayonnaise if you are dealing with hair breakage issues. Recommended olive oil brands include La Tourangelle Extra Virgin Olive Oil & Lucini Extra Virgin Olive Oil. While argan oil is also suitable for hair breakage, it’s better used as a sealing oil in the last stage of a treatment session. However, feel free to add a few drops if you really want to include it in your steaming session. Related Content: Did You Know This About Oils? Hair steaming with castor oil is best if you have hair growth issues. Ideally massaging your scalp with the castor oil then coating your strands with the excess. Feel free to substitute with Jamaican black castor oil (JBCO) if you prefer. It’s down to whichever one your hair and scalp respond best to. You can include rosemary essential oil, peppermint essential oil, and eucalyptus essential oils, which help foster hair growth and resolve scalp issues. Some good brands for this include Banyan Botanicals Castor Oil & Tropic Isle Living Jamaican Castor Oil. These oils are all about moisture, moisture and even more moisture for your hair. Don’t misunderstand this statement though. The oils themselves can’t moisturize your hair. However, they will aid in moisture retention extensively. Mixing them into your deep conditioners is also very effective. You can use one or all three in a session but don’t overdo it. The most recommended brands of almond oil, grapeseed oil, and avocado oil include Piping Rock Sweet Almond Oil, La Tourangelle Grapeseed Oil & La Tourangelle Avocado Oil. These oils are best for addressing scalp issues like dandruff, dry and itchy scalp, flaky scalp, etc. If you have scalp inflammation, consider adding in lemongrass oil or cranberry seed oil as well. 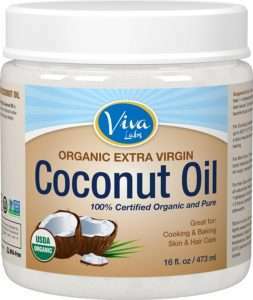 For the brands to buy try Viva Labs Organic Coconut Oil, Trader Joe’s Organic Coconut Oil, Trader Joe’s Pure Jojoba Oil & Salem Botanical Calendula Oil. If you’re inclined, you can also make your own Calendula oil at home – How to Make Calendula Oil – 2 Methods. Mix the oils and warm slightly. Massage into your scalp. Pour the rest of the mix into your deep conditioner of choice. Apply to the length of your hair, smoothing through. Pile your hair on top of your head with the ends exposed and proceed to the hair steaming process. You can also go straight to steaming after applying the oils for a hot oil treatment instead. Incorporate steaming with heat. 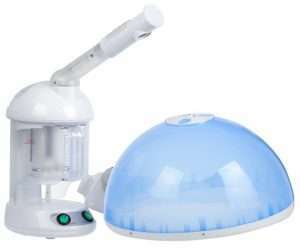 Enhance the benefits of steaming with the right type of professional hair steamer or portable hair steamer. 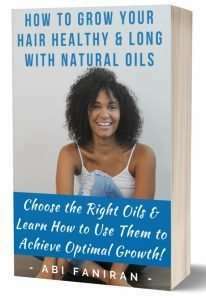 You can mix & match between the oils if it addresses whatever current hair issues you’re having. For instance, if you have dry and dull hair with an itchy scalp, you can mix olive oil and either, coconut, jojoba or Calendula oil into your deep conditioner before steaming. If you can’t afford a hair steamer at the moment, a hot towel wrapped around cling film works as well but it probably won’t be as effective. Available in Kindle & paperback format. Subscribers get up to 30% off. Learn more about the book HERE.